A - claimed repeatedly, but no supporting evidence ever made available. 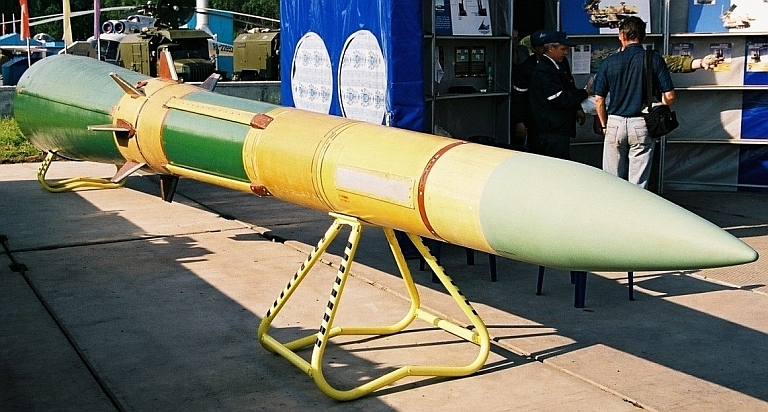 B - claimed in 2007 but later denied by Belarus. C - claimed in 1997 but later denied by Kazakhstan. D - order reported but IOC unknown currently. E - order reported but IOC unknown currently. F - reported ~100 batteries operational, including batteries deployed in Armenia and Kazakhstan. G - reported ~50 batteries in storage or inactive. H - reported as two separate 8 battery purchases. 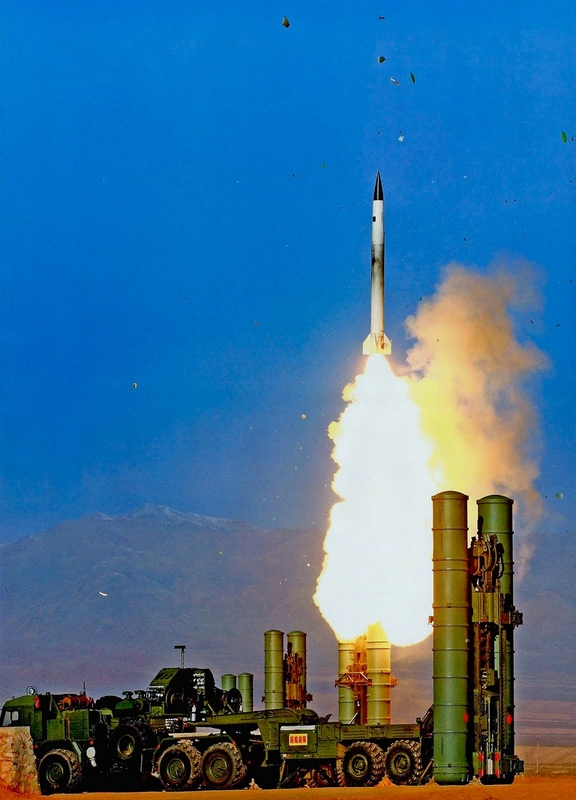 J - expected to order S-300V or S-300VM systems, numbers yet to be disclosed. 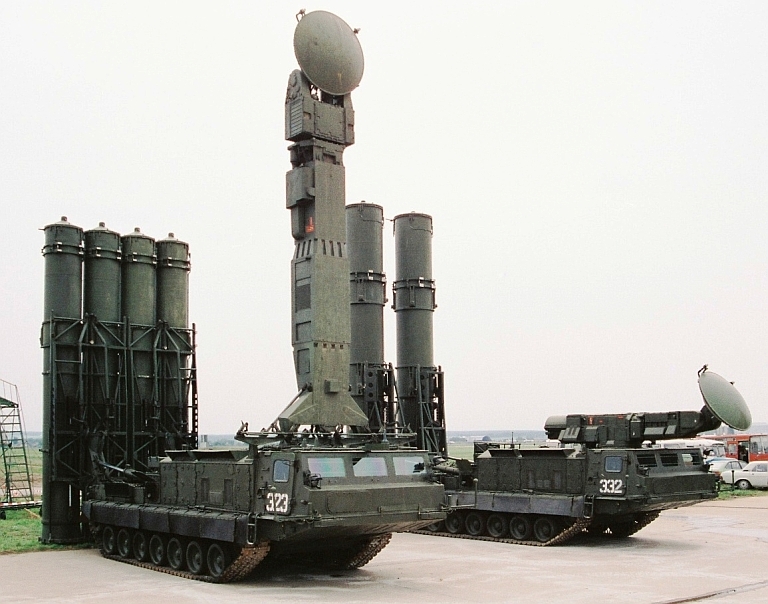 K - reported interest in procuring FD-2000 in preference to S-300PMU1; S-300PMU1 order may be cancelled. 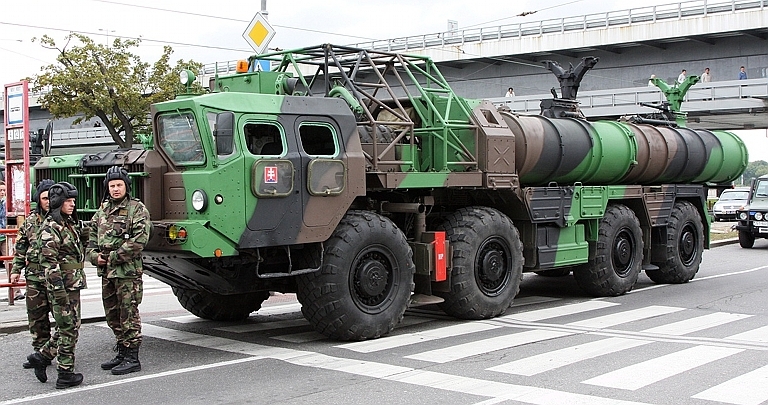 L - Kazakhstan publicly stated an intent to procure the S-400. M - Russian sources cite "several" batteries transferred free of charge to Kazakhstan to replace withdrawn Russian batteries. N - claimed procurement of 3 regiments; number of TELs and BATs unknown. P - Saudi S-400 purchase negotiations under way since mid 2009 for undisclosed number of BATs. Battery composition - typical a battery deploys 3 to 12 four round 5P85 TELs with one engagement radar. Acquisition radars are usually shared between multiple batteries. 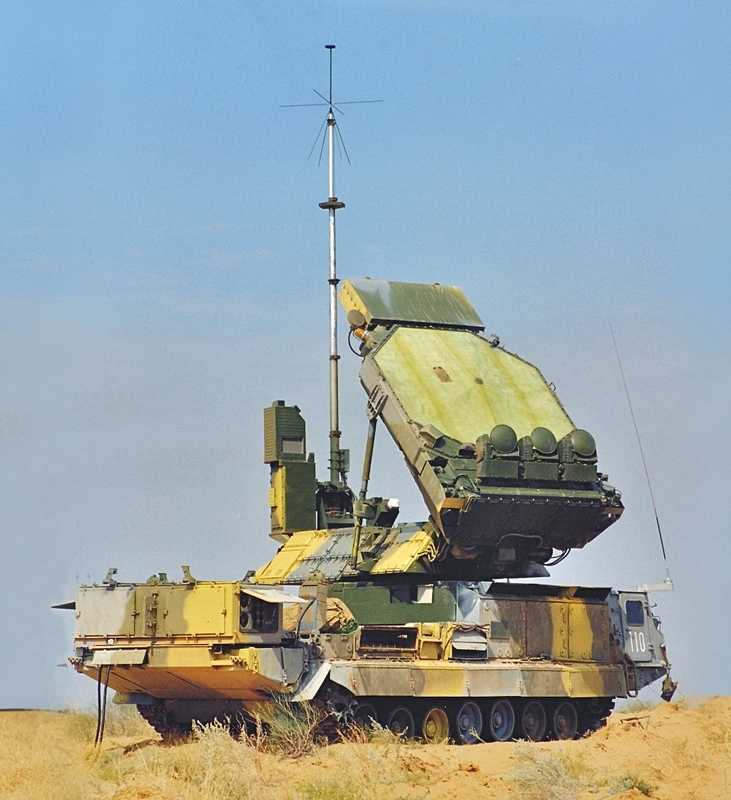 The S-300PMU / SA-10C is the most widely exported variant of the earlier S-300P models, and is largely based on the baseline S-300PS / SA-10B Grumble. 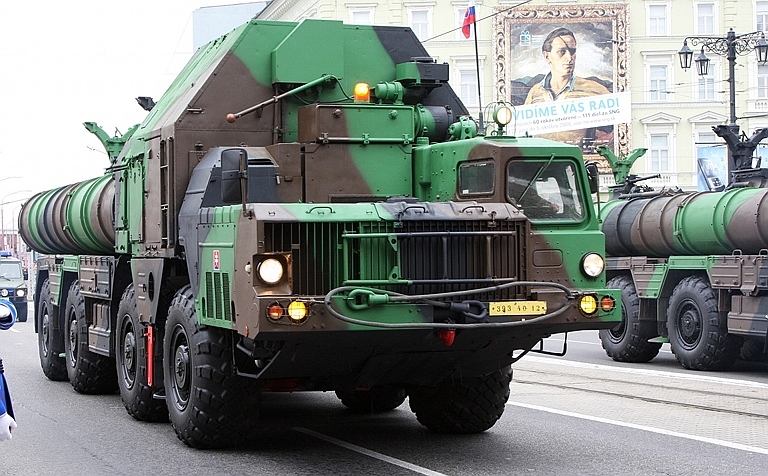 Above and below, 5P85SE smart TEL and 5P85DE dumb TEL of the Slovakian Army on parade in Bratislava, in 2008 (images © Miroslav Gyűrösi). 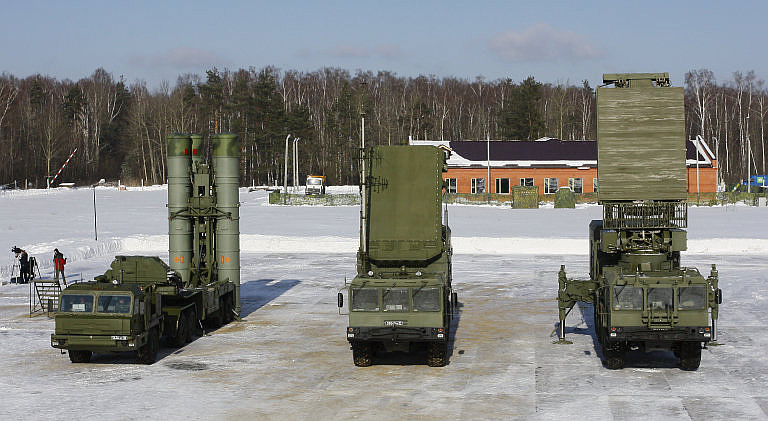 Above, below: S-400 battery components at Elektrostal' (© 2010, Yevgeniy Yerokhin, Missiles.ru). 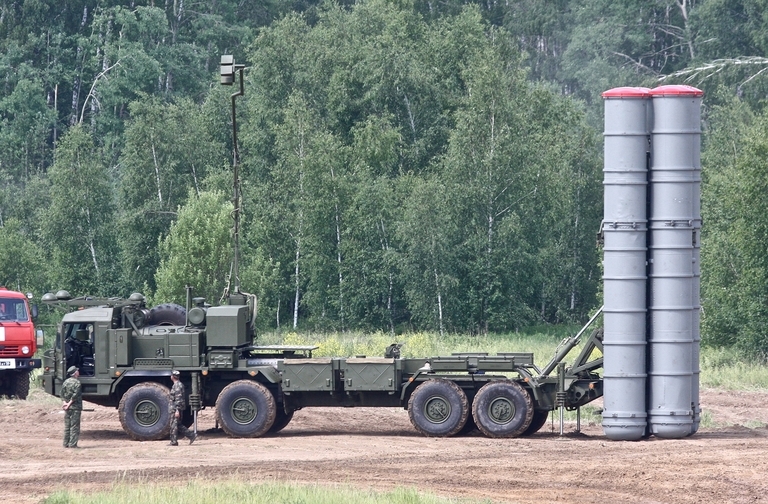 S-400 5P90S TEL deploying antenna (© 2011 Vitaliy V. Kuzmin).